Mother's Day Brunch Menu Recipes | What's for Dinner? Mom's usually taking care of everyone else. Take some time to make her feel extra special with a surprise brunch, featuring a wheat berry salad and lox eggs benedict. Add Marzetti® Original Slaw Dressing to give Old World Deviled Eggs a new twist. 52% of homecooks would also make this recipe! 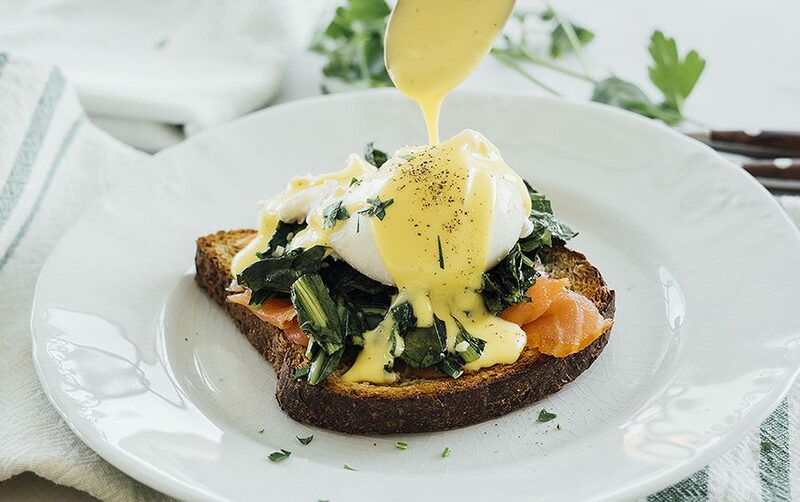 Top a toasted piece of Angelic Bakehouse® 7-Grain Bread with lox and dandelion greens for a protein-packed eggs Benedict recipe.